What if you could move from data visualization to big data visualization? From slicing and dicing data to using analytics to predict outcomes? From using more than just structured data for analysis? · What current strategies and future trends for next-generation analytics mean to you. 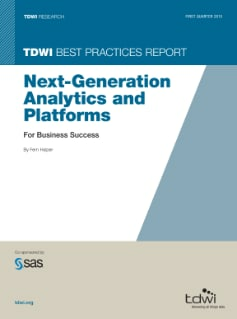 · The analytics and infrastructure necessary for next-generation analytics. · Recommendations and best practices for implementing analytics in an organization.